Children today are growing up in an ever changing world, a world within which Information and Communication Technology (ICT) has a major impact. Similarly, e-learning (that is, learning supported by or facilitated by ICT) has considerable potential to support our learners and help them reach their full potential in life. At St John's College we recognise the importance of ensuring that our students are digital citizens, equipped for future employment and learning and able to fully engage in modern society. We recognise the potential that technology can bring to learning which is why we have moved forward with our BYOD programme for 2014. IT must be treated as a tool for learning and not just a new toy. BYOD stands for Bring Your Own Device. Students are able to bring in their own technology (laptop/tablet) from home, connect it to the internet and use it to support learning in school. Already we are seeing students bringing in devices and recognising an increasing number of opportunities as to how these devices can help support their learning, something that we want to foster and encourage. BYOD means there is little transition between accessing learning at home and in school and gives students important 21st century skills (collaboration, communication, creativity and critical thinking) to access the changing workplace. BYOD is optional for all students, with teachers encouraging the use of Bring Your Own Devices in the classroom whenever possible. There is no expectation being set that every student must have a device and we are trialling how BYOD provision may look at the school. Students will be able to use them for homework activities at present, with the potential for future integration into classroom teaching and learning. We are considering how students and teachers use mobile devices and will consider such options as teachers placing all their learning and resources online for students to access. Teachers will receive relevant professional development to help them see new opportunities for learning in their curriculum areas. Some departments are already pushing forward with how they use BYOD in the classroom. There is no expectation that a student will need a $1500+ laptop. Noel Leeming and other electronic stores have netbooks around $400 which will be suitable for lessons, see the recommendations around “Choosing The Device” below as well as special deals. Students are able to access their timetable, weekly notes and other details (Such as NCEA credits) through our student portal on Kamar, our Student Management System. They can download an app for iOS and Android to give them access to the portal. Parents also have access to ther parent portal, giving them the same level of access as students to see notices, attendance and assessment data. At St John's College we believe that students and parents should have the choice of a device rather than the school imposing a device upon the learning community. Students will need a device that is suitable for typing and editing documents and accessing and using internet resources and tools. We recommend having a read through our Quick Guide to Mobile Devices to help inform your decision making. Though smartphones/ipod touch devices will be allowed on the network, they are not on our list of preferred devices for BYOD. They have their uses and will be used in some areas such as Physical Education. However, typing up an essay or an activity on these devices is not advised. We will allow students a maximum of two devices to be connected to the St John's College wifi (SJPublic). When a student brings their own device onto campus they need to ensure that they agree to and abide by our Cybersafety Acceptable Use Agreement as well as our Mobile Device Guidelines. They will connect their device to our managed wifi (SJPublic) using their normal network credentials and once authenticated, the device will have full web access. 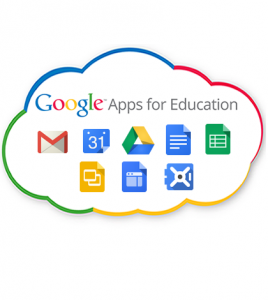 Students will have access to their school Google Account, online files (cloud storage) and email as well as all the other online web2.0 tools that can help shape their learning experience. All internet traffic is filtered to ensure that our community is kept safe and usage is monitored. Technical questions should be directed to our IT Manager, Mr Silas Burton. All other questions relating to the BYOD initiative should be directed to our Deputy Principal, Mr Dominic Tester.